Energie Fitness Palmers Green is a fantastic all around located in North London N13 just next to Palmers Green Library. Being a fully kitted gym with cardio, weights, studios and functional fitness this is a fitness enthusiasts haven! The club has plenty of cardio machines including stair masters, treadmills, bikes, crosstrainers and rowers. The weights area has a rack of dumbbells, barbells, Olympic barbells and plenty of benches to use. There are resistance machines which can also be used. The functional training area in the gym has a rig with monkey bars, pullup bars, dip stations and other equipment such as kettlebells and medicine balls. There is a mat area which can be used for stretching and other functional exercises and a separate rack of dumbbells is available. 2 separate studios can also be used between classes; a spin studio contains spin bikes and a fitness studio has space and equipment for any other exercises. 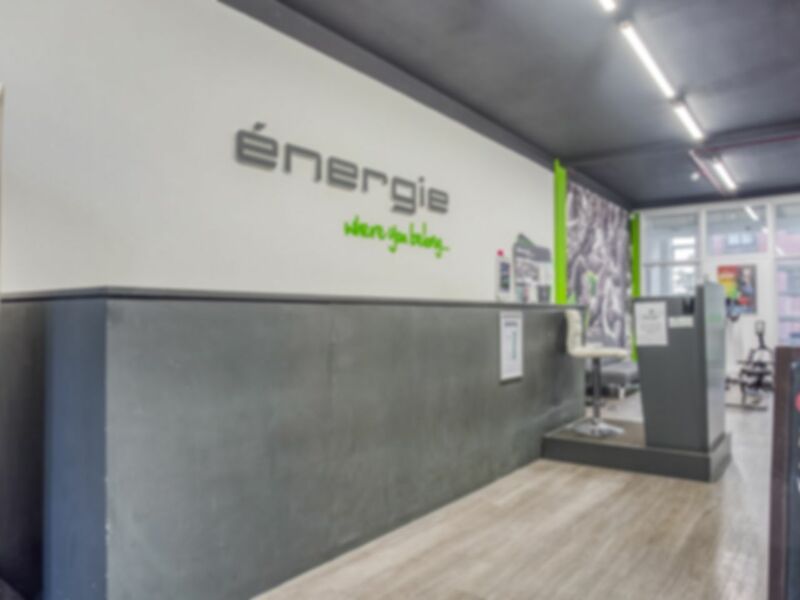 Energie Fitness Palmers Green has shower and changing facilities, lockers, wifi and disabled access. Buses can be caught from nearby Greens Lane and Palmers Green station is a 5 minute walk away. Great gym but needs more space for the boxing bag. Lovely gym, nice and clean facilities. This gym is great value for money. It has everything you need and although busy at peak times, it's easy to get through your workout. Thanks Louise, glad you enjoyed it. Hope you enjoyed your workout!